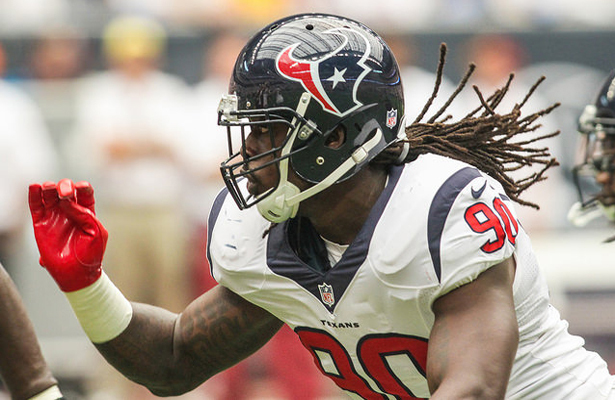 Expect Jadeveon Clowney and the Texans to have a big day against the Buccaneers. The Houston Texans (0-2) welcome the Tampa Bay Buccaneers (1-1) to NRG Stadium in the second straight game where the Texans will be facing off against a Heisman Trophy winning quarterback. After falling to the Panthers 24-17 at Bank of America Stadium, Houston is still searching for its first victory of the season. With two of the top pass rushers in the NFL in J.J. Watt and Jacquies Smith, this game has all the makings of a defensive battle. Watt will likely be facing right tackle Gosder Cherilus, who should be familiar with the NFL Defensive Player of the Year from his time with the Indianapolis Colts. In the battle of the past two top overall picks in the NFL Draft, Jadeveon Clowney has six quarterback hurries in the first two weeks and Jameis Winston has been sacked seven times this season. 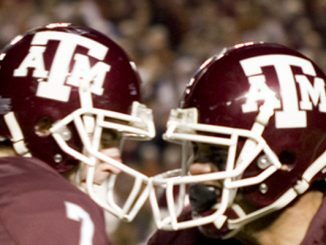 As Watt will undoubtedly be double teamed most of the day, look for Clowney to make some noise. As for the Texans offense, head coach Bill O’Brien said running back Arian Foster — who finished sixth in the NFL in rushing a year ago with 1,246 yards — will not play for the third consecutive week. Left tackle Duane Brown is also out with a broken thumb. After going through the concussion protocol this week, wide receiver DeAndre Hopkins is listed as probable. Texans quarterback Ryan Mallett completed 46.6 percent of his 58 passes for 244 yards with a touchdown and a fourth-quarter interception in last week’s loss to Carolina. Mallett’s biggest challenge will be to avoid the pressure by Smith, who is leading the NFL with four sacks.